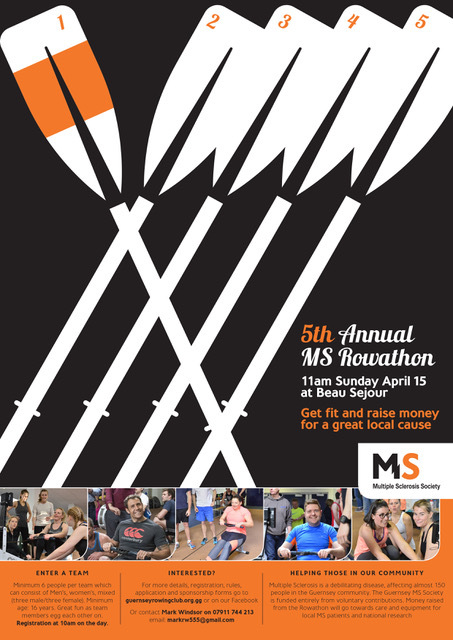 The 2015 MS Team Rowathon will be held at Beau Sejour on Sunday 19th April. Teams of 6 are invited. Thanks to the work of the Leo Club of Guernsey, the Society's coffers received a welcome boost through the Car Treasure Hunt on Saturday 25th July. Gill Ford has recently taken over as Branch Secretary and is keen to make contact with members. Please follow the "read more" link to read a copy of Gill's first official communication. The UK Multiple Sclerosis Society has today released important new information about managing relapsing forms of MS.
Roche have today released news of a new therapy, Ocrelizumab, which could be the first effective treatment to slow progression of the primary progressive form of the disease. This new therapy is also claimed to be at least as effective as the two leading treatments for relapsing remmiting MS, Tysabri and Lemtrada. Helpers are needed to cover all the colection points through the day. If you can spare an hour, plesae contact Peter Miller either by email pmiller@cwgsy.net or call the MS line 715557. The 2016 AGM drew a good turnout and the committee was pleased to have attracted an expert guest speaker, Katherine Roberts, from UK Head Office, to explain more about the new consensus on the treatment and mnagement of MS.
MoveSmart – Group Exercise Sessions for People with Multiple Sclerosis. Exercise has been shown to be very beneficial as it reduces fatigue, improves mood, strengthens bones and muscles, increases control, and improves weight management. These free sessions, sponsored by the MS Society Guernsey are run every Tuesday at 9:30am and 10:30am. For further information please contact the MSG on 0148128564 or e-mail garethc@msg.gg. 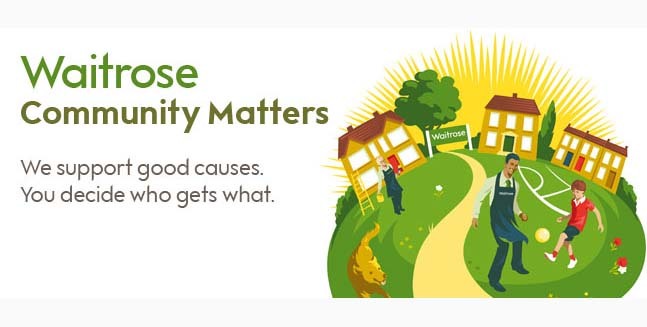 For the month of January the Guernsey MS Society have a 'community matters' box in Waitrose at Admiral Park. Please support us by putting your green tokens in the MS box and by asking your family and friends to do the same. The Branch benefited by an amazing £663.00 from being included in the Waitrose Community Matters Scheme in January. 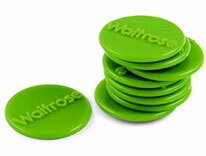 Many thanks to Waitrose and to all those customers who supported the Branch with their green tokens. The Society has published details of a phase 3 trial for Simvastatin, a possible treatment for secondary progressive MS.
Gill Ford, Secretary of the Guernsey branch has pubished the branch's latest newsletter. Please click on this link to download a pdf version. The Guernsey Disability Alliance was founded almost a decade ago, but what has it achieved? At a recent presentation, members of the GDA used the Monty Pythons sketch "What have the Romans ever done for us?" as the inspiration to explain the remarkable progress made in bringing equality of opportunity to the island's 13,0000 people with disabilities. Changing Times is a publication featuring policy updates, developments and progress reports. There are many features on disability, access, strategy & disability legislation updates. To see the latest edition, please follow this link. We'd like to express a great big thank you to the wonderful staff of Northern Trust for donating the proceeds from their recent dress down day to the Society. A magnificent £822.14 - Thank you so much! If you are looking for a new mobility sccoter, Guernsey Mobility Scooters offer a package which include home assesments, scooter trial and delivery to your home. 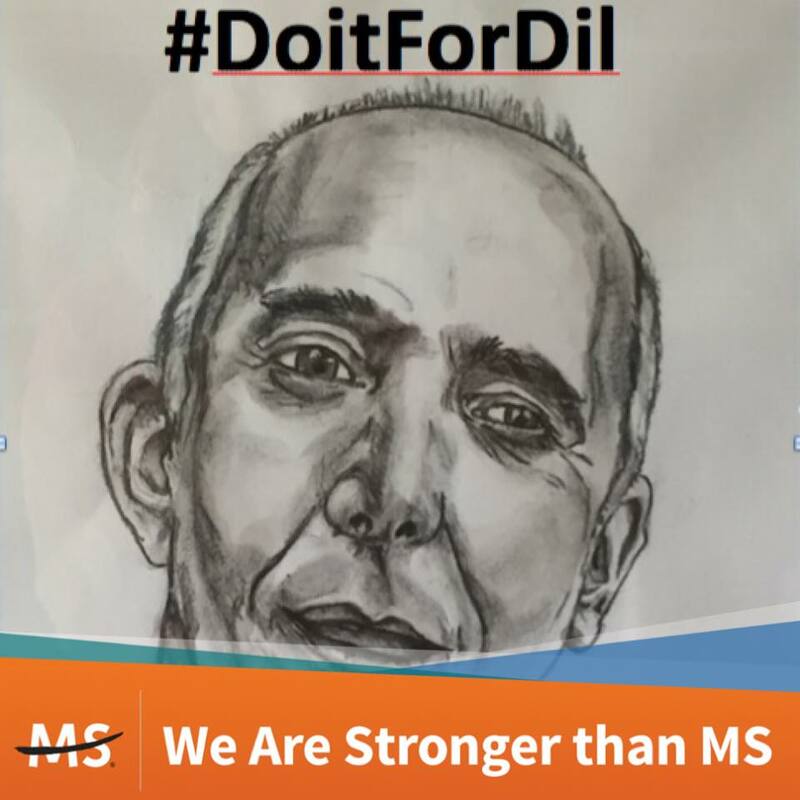 This month-long event (3rd to 30th September) commemorates the life of the wonderful, funny, and amazing Paul Diligent, - Dil, as many of us knew him. The Idea is that, together, we move a million miles by non-motorised means (miles covered in electric wheelchairs and other mobility aids do count however). Please read on for further details or, to register, please follow this link. Save the date for the MS Christmas Fayre, 2nd December 2017. More information to come. You are invited to a Living with MS event to be held in Southampton on Saturday 18th November. Please follow this link for the latest news from the Guernsey Disability Alliance's "We All Matter, Eh?" campaign. The month-long event in September to raise funds and awareness of MS has raised an amazing £7921.76 which could still rise! Beau Sejour weekly exercise classes. The total amount raised from this amazing event has now reached the incredible amount of £9,000. Mavenclad (cladribine) is now avaialble in England. Please follow the link below to read about this new oral therapy. You might be interested in watching a television programme on Thursday evening about Mark Lewis who has lived with MS for 25 years. Ocrelizumab, was recommended for both relapsing and remiting MS and primary progressive MS for a licence by the European Medicines Agency in November 2017. Join the MS Society today and together our voices are louder, and we can fight harder for everyone affected by MS. Thank you to everyone who came and supported the MS Christmas Fayre yesterday at Cobo Community Centre. Please support the MS Society Guernsey by placing your green tokens in the box at the Rohais. The December newsletter from Karen Blanchford, Director of the Guernsey Disability Alliance. A big thank you to Waitrose Community Matters and to all of you who placed their green tokens into the Multiple Sclerosis container during December. We are delighted to have been chosen as one of twenty charities to receive funds from this year's Saffery Rotary Walk. Please help the Guernsey MS Society by getting involved with our 5th Annual MS Rowathon! You do not have to be super fit to enter a team! Teams of 6 are welcome from corporates, sports clubs, or just groups of friends. Come and join us, raise some money for MS and have some fun! I have been aiming to find out new items of which may be of interest to you. I put these under Friday Facts. This week in particular I have added more links under the useful links, found down the right hand side of this page. I have recently been told of a few new organisations which you may be interesed in, so have a look under Useful links. 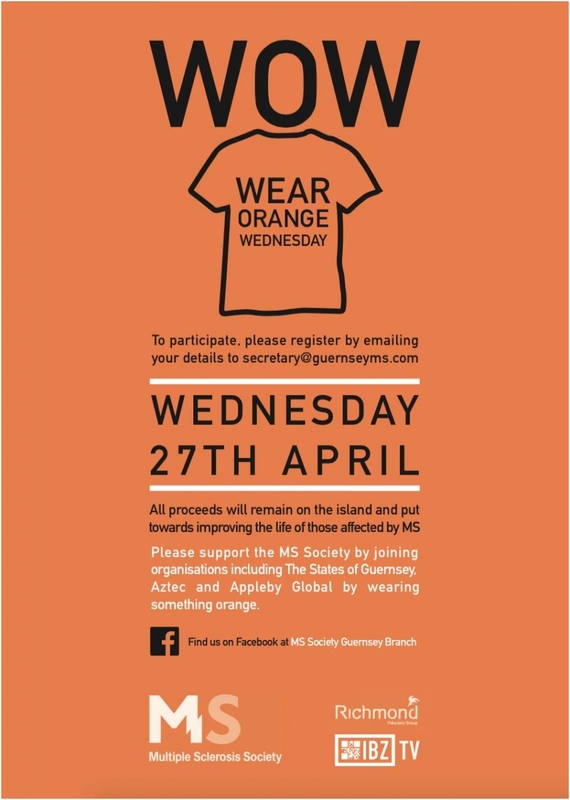 Enjoy the sunshine, and don't forget to join in with Wear Orange Wednesday (WOW) next week. The Guernsey MS Society have been asked by the GDA for our communities comments on assisted dying. Just a reminder that you are invited to the 2018 Guernsey MS AGM. A big thank you to all of you who chose the Guernsey MS Society for the Community Matters scheme at the Waitrose Rohais store. You helped raise the huge amount of £414.00. All the money raised stays in Guernsey to support those affected by MS.
Come along to a music quiz on 29th September at Sylvans Sports Club in St Peter's. Money raised is to be shared between the Guerney MS Society and Sylvans Sports Club. If you are not already a member of the Guernsey Multiple Sclerosis Society then please think about joining us. For just an annual fee of £5.00 you will be given information about your local group and also you will be kept up-to-date with the latst research on MS. Brand new discount scheme for members is up and running. For further details please see Discount under the Support column. New businesses to be involved soon. Disability in the Channel Islands Survey 2018 is now available to complete online. At the MS Christmas Fayre on Saturday 24th November there will be a table selling vinyls. We already have quite a load but more are always welcome. The more we have the more money we raise for the local MS Society. It's nearly time for the Guernsey MS Christmas Fayre!